Lot Detail - 1979-80 O-Pee-Chee Hockey Wax Box (48 Unopened Packs) - BBCE Certified - Wayne Gretzky Rookie Year! 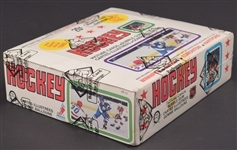 1979-80 O-Pee-Chee Hockey Wax Box (48 Unopened Packs) - BBCE Certified - Wayne Gretzky Rookie Year! 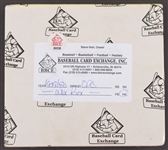 A thought, dream and fantasy-provoking hobby event is what we’re excited to tell you about here, with a tantalizing unopened box of 1979-80 O-Pee-Chee hockey cards on the auction block. The '79-80 hockey season saw a slight teenager by the name of Wayne Gretzky commence his National Hockey League career and begin his assault on the NHL record book, soon accomplishing unthinkable scoring feats, the likes of which have not been duplicated and which will likely never even be approached. 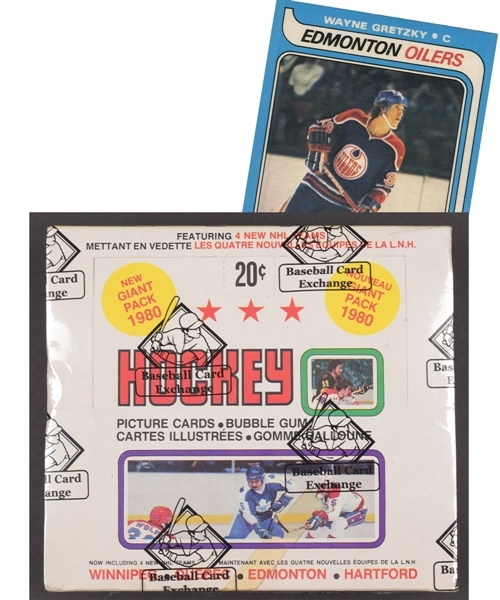 At the time, hockey enthusiasts and gum-lovers were busting open 20-cent packs, like the (48) 14-card packs still housed in this riveting display box. It mentions the four new NHL teams and includes action shots involving Andre Savard, Ron Ellis, Rick Green and Washington goalie Bernie Wolfe, just in case you’re wondering. The Great One leads the 396-card OPC set's lineup, with fellow legends Gordie Howe, Bobby Hull, Guy Lafleur, Ken Dryden and Mike Bossy also appearing on the condition-sensitive blue border cards. We spot a one-inch peripheral bend (left edge) in the box top, while the original piece of fastening scotch tape is slit. Unopened specialist Steve Hart and his team at BBCE have examined each and every pack and have determined/confirmed that each is indeed unopened. The BBCE firm's shrink-wrap now seals the box, with a company label and sticker affixed to the underside. Measuring 7-1/4” by just over 8” and 2-1/2” thick, the double brick-like-shaped prize exhibits very minimal handling/wear. The majority of serious hobbyists are aware of the astonishingly lofty prices that high grade Wayne Gretzky rookie cards have been realizing in recent years, so let the dreaming and fantasizing begin/continue! Those with the means have the chance to see their dreams come true, while those without can fantasize without stressing/sweating. Good luck with this incredibly alluring and stirring unopened jackpot.